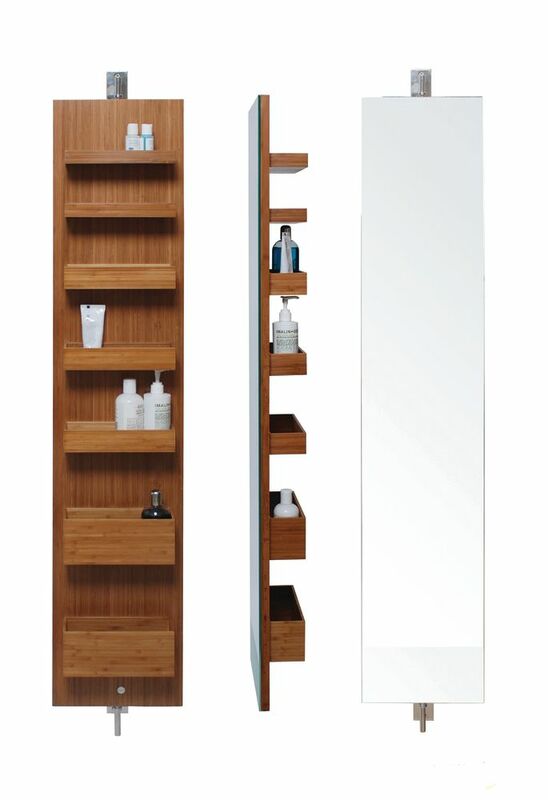 The Arena Revolve is a contemporary design incorporating a dressing length mirror and storage piece in one. Easily accessible multiple trays, accommodate all sizes of bottle, jar or personal product. Polished stainless steel brackets fix to the wall giving the illusion that the cabinet is floating. The mirror rotates smoothly on engineered bearings and is the centre piece of any bathroom.